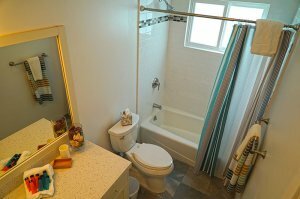 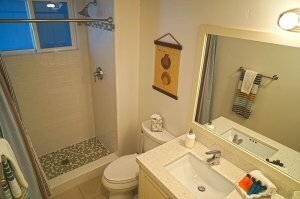 Wonderful, spacious 2 bedroom unit with big views and a big front yard. 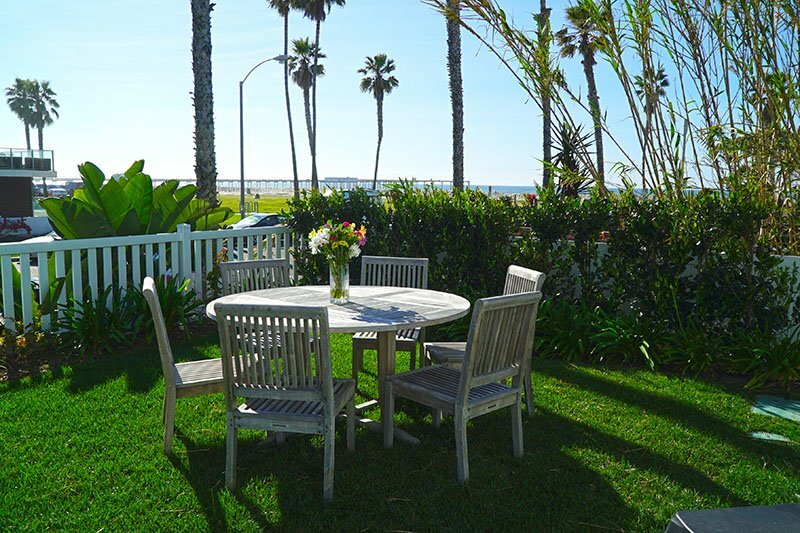 Perfect location for Barbecuing while watching the waves and sunsets. 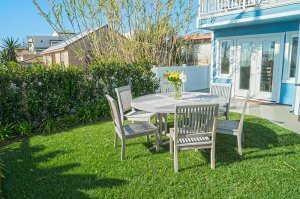 Enjoy the magnificent view and breezes from this wonderful downstairs unit that includes a large front yard and a private back patio only ½ block to the beach! 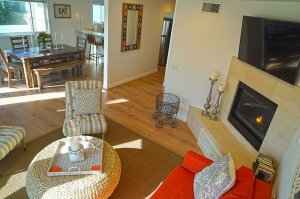 Luxurious 2-bedroom unit with large wood planked floors features a large living room with a gas fireplace and wall mounted TV. 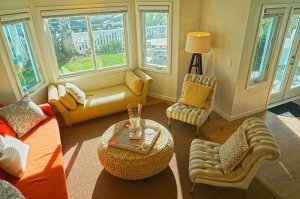 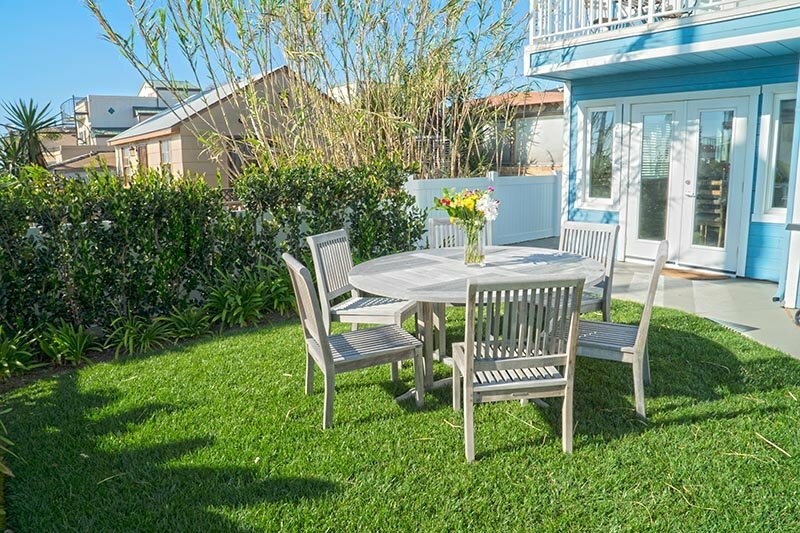 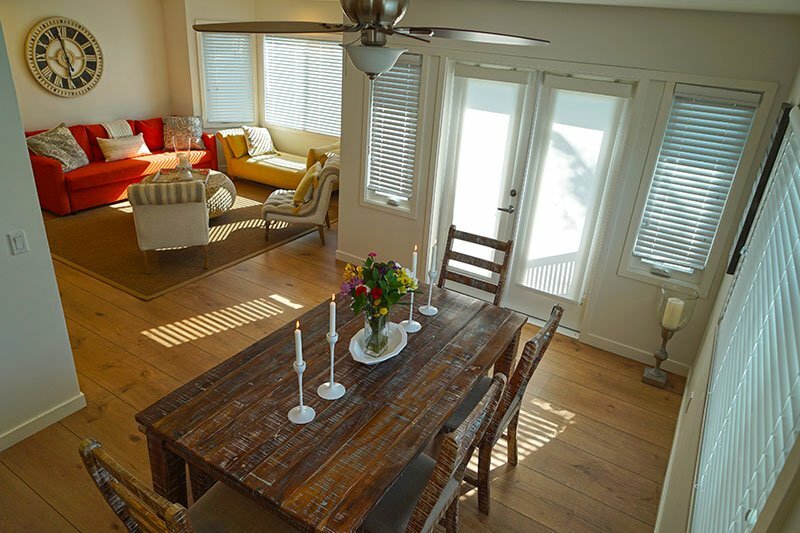 French doors open to the front yard with amazing views of the ocean, relax and watch the waves crash on the beach. 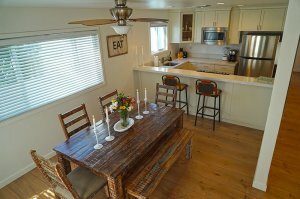 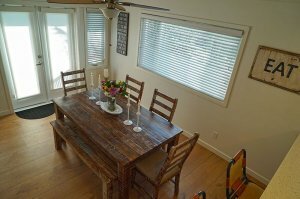 The dining room has a view to the pier and a large table with the breakfast bar that opens to the kitchen. 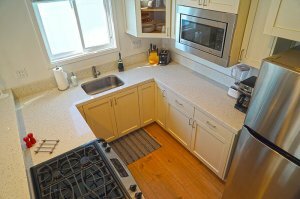 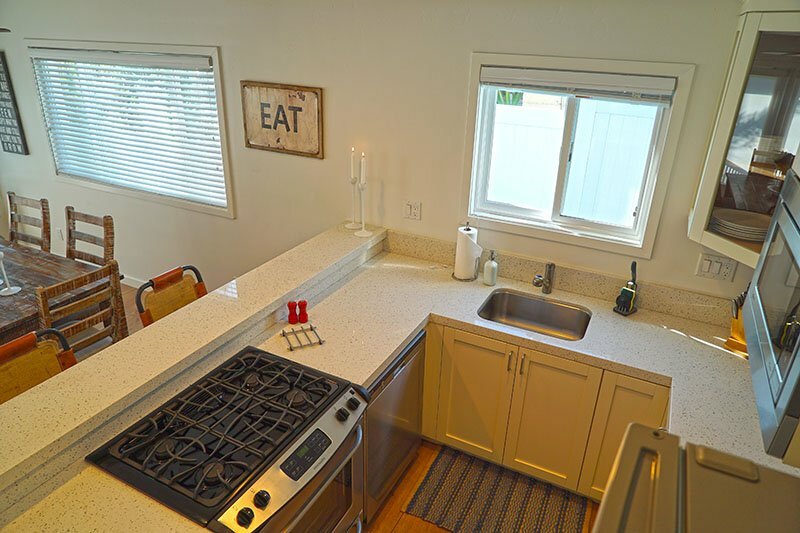 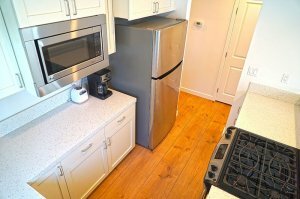 The kitchen has recycled glass countertops and stainless steel appliances. 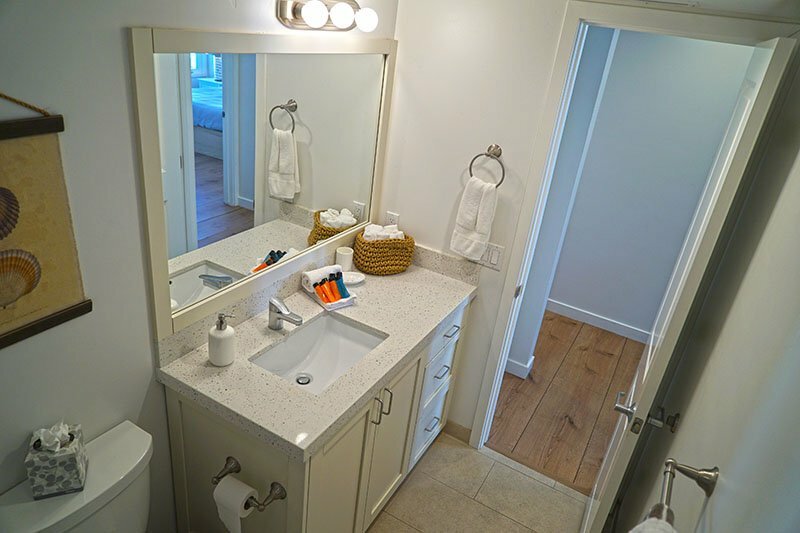 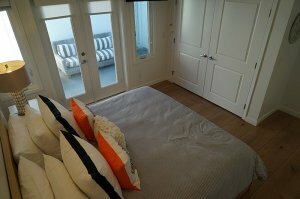 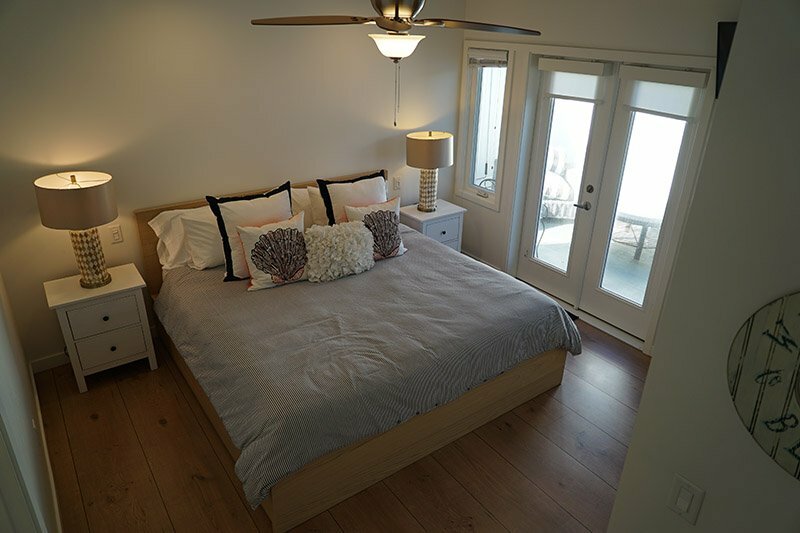 The master bedroom suite has a king size bed and a private patio and wall mounted TV. 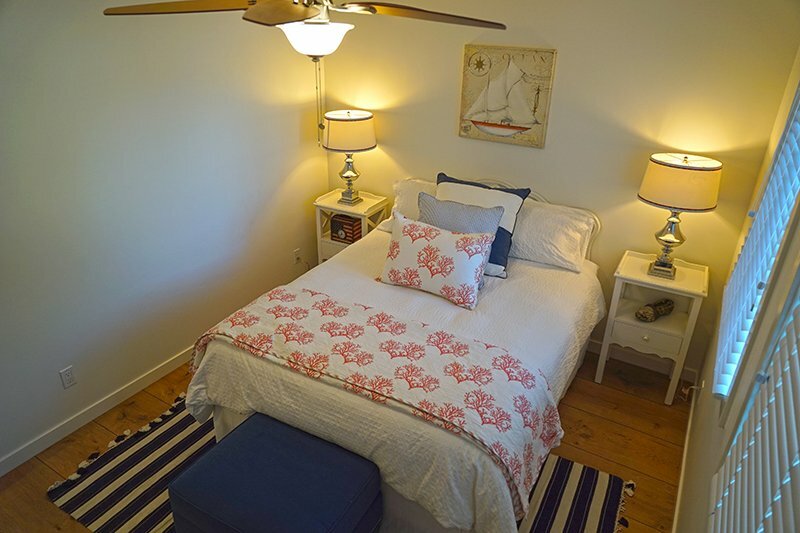 The 2nd bedroom features a queen-sized bed. 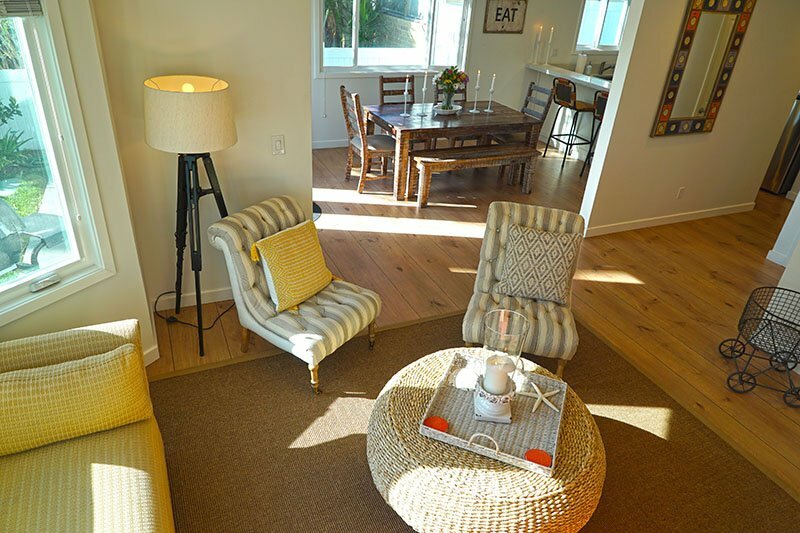 All decorated in an upscale beach theme. 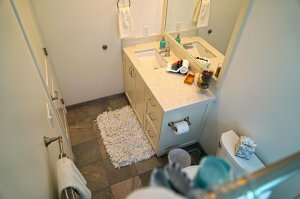 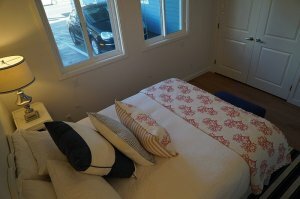 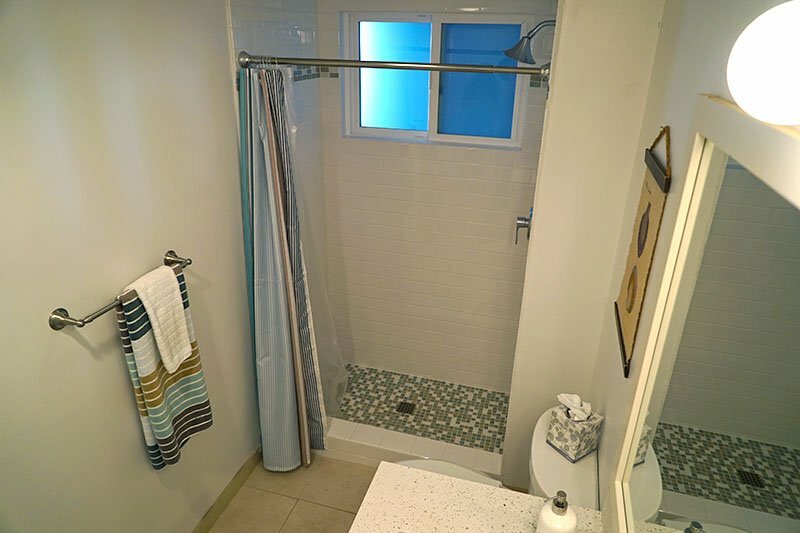 This unit has a gas grill, large outdoor table, washer and dryer, DVD player, surround sound in the living room, 2 boogie boards and 2 beach chairs for your use.